COSTA RICA CALLS: Apply for Global University by Feb. 11, 2019! The Association of Outdoor Recreation and Education (AORE) and G Adventures are partnering in 2019 to promote the appreciation of our natural environment and raise the bar of practice and performance in the field of outdoor education and recreation. 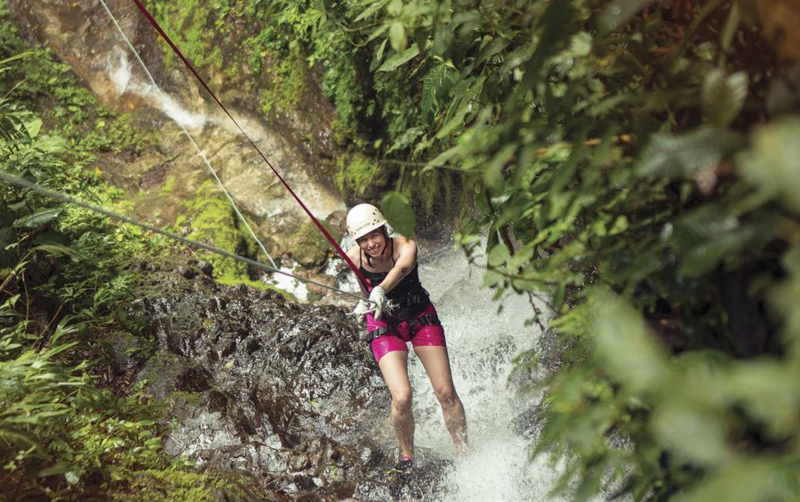 Thanks to the generous support of G Adventures, this year AORE’s Global University will offer a once-in-a-lifetime learning expedition to Costa Rica that is intentionally designed for women leaders working in outdoor recreation and education. Women are nature-born leaders that bring unique perspectives and skills to the collective work of our field, whether it be in the area of advocacy, the delivery of programs, or the introduction of innovations to shape the future of outdoor recreation and education. Help us demonstrate the powerful impact of nature and health and wellness when it comes to improving educational outcomes and enhancing student experiences overall. JOIN US IN COSTA RICA! Itinerary: Full trip details available here. This immersive cultural experience will foster professional development, encourage networking, and develop paths for women to transcend organizations. We will explore the intersection of health and wellness with our profession through a women’s leadership lens---from the analysis of current research and trends to identifying opportunities for collaboration across campuses and articulating the value of experiential learning in the natural world. And together, we will examine best practices and unpack big topics such as the importance of diversity and inclusion, social determinants of health, and the need to build multi-cultural competency. Delivered in a thoughtful, non-judgmental environment, our robust curriculum promises to make for a truly transformative global adventure that is not to be missed! Are you ready to join other dynamic women leaders who are advancing change at their organizations and in the profession? Visit us online to learn more about eligibility requirements and then submit your application for consideration. *Note: Invited participants will have three days to make a final decision. If they decline to attend, waitlisted participants will be contacted at that time. A final roster is expected to be announced on February 17, 2019. Selected individuals must pay in full by February 21, 2019 to secure their spot on the trip.